Hydrogel is a clear gel that thickens the consistency of water­color, allowing better control, adding texture and gloss. Mix it with any water-based paint or apply it pure with a spatula on the surface of paper or absorbent ground prior to painting. Hydrogel dries slowly, reduces the flow of color, and remains water soluble. Hydrogel is a gel composed of gum arabic and pyrogenic silica that can be mixed with water-based paints to achieve impasto-like effects. 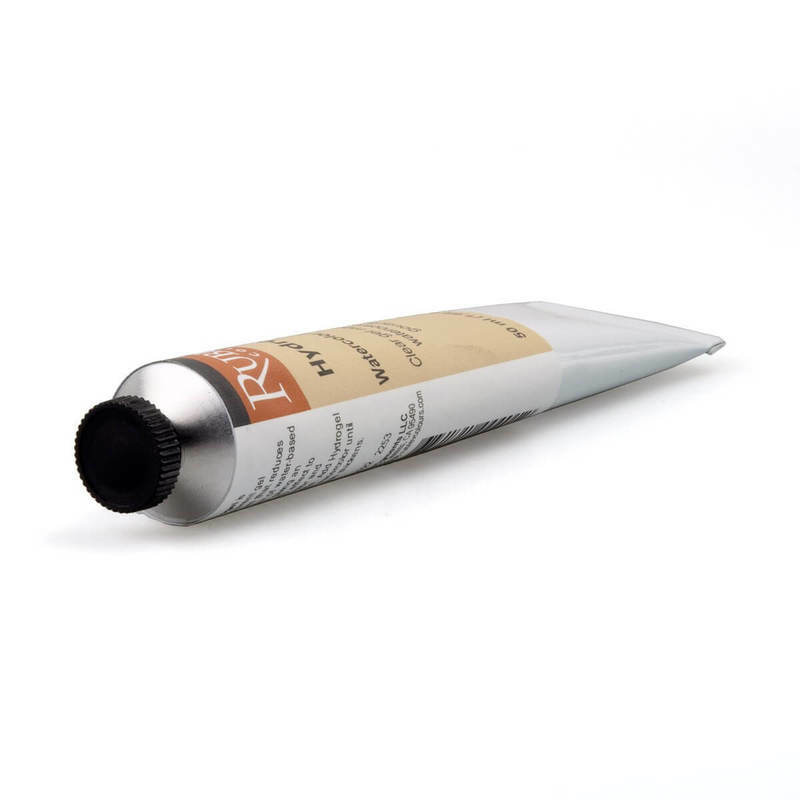 This transparent gel medium reduces the flow of water-based media giving an impasto effect to watercolor and gouache. Squeeze Hydrogel onto the palette and add just enough to the watercolor wash until the wash thickens. Tube colors are easier to use for stronger washes or when large amounts are required. Hydrogel washes will not flow into each other so they are excellent for clouds or multi-colored areas such as landscapes.